Confident and yet graceful this three stone Diamond and Platinum engagement ring will speak of your individuality and personal style. 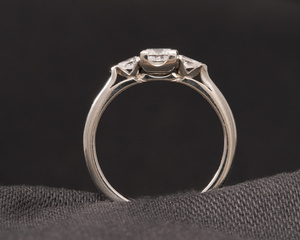 We had Art Deco in mind with all its geometric elements when pondering over the ring design. 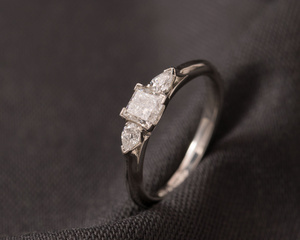 Our aim was to create a more timeless piece that could easily be worn with a fine wedding band or something bolder, depending on your own preference.